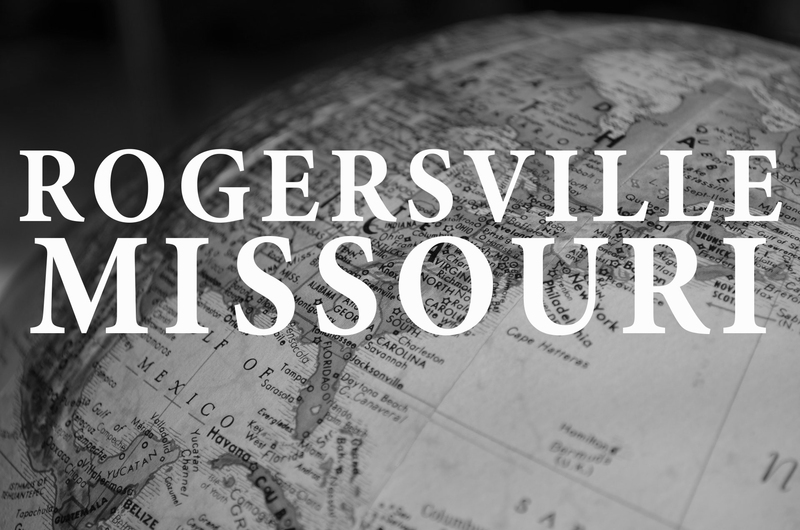 If you’ve been browsing homes for sale and you just haven’t found the right one, then maybe it’s time to consider Rogersville. Rogersville is a small town just a short drive east of Springfield. In 2000, the population was around 1,500. Ten years later, it had doubled in size. The town continues to grow, but right now it doesn’t show the rate of growth seen from other towns in the Springfield Metro Area like Nixa or Ozark. That makes Rogersville a great choice for people looking for a little peace and quiet away from the bustle of the denser areas. Below, The Dan Holt Team shares details about the history, education system, attractions, and more in Rogersville. And who knows? Maybe Rogersville is exactly where you should be looking for homes for sale. Rogersville got its start thanks to a man known as Dr. Rogers, a physician in the area. When the Kansas City and Memphis Railroad was to have a depot built, Dr. Rogers donated money to its construction to have it named for him. From there, Rogersville grew into the settlement that would lay the foundation for the town as we know it. Its first postmaster was appointed in 1882. A blacksmith shop opened in 1884. A church followed on year later, and the Citizens Bank of Rogersville opened in 1908. Despite the fact that the school district is referred to as “Logan-Rogersville,” there is, in fact, no area nearby called Logan. That name belongs to a family who donated the land for the school to be built in 1955. People looking at homes for sale in Rogersville will be please to learn that the Logan-Rogersville high school carries a good graduation rate. Test scores in English exceed the state average. Teachers there have an average of 14 years of experience. The schools in the area carry good reviews on the popular real estate listing service Zillow. Being just a short drive away from Springfield, Rogersville has all kinds of attractions to keep you busy on a weeknight or to plan a weekend around. Easily accessible on Springfield southeast side is the Nature Center, a conservation area full of trails and wildlife. The Smallin Civil War cave is also nearby. Springfield’s IMAX theater is also within easy driving distance. In Rogersville, you’ll also find plenty of places to grab a bite. History buffs will enjoy visiting the old Frisco caboose at the Veterans Memorial. The caboose was donated by a member of the American Legion. It sits on Highway B. Maybe you’ve finally zeroed-in on your budget and you’re ready to start looking at homes for sale, or maybe you’ve been looking and you just haven’t found the right one yet. Let The Dan Holt Team show you some homes for sale in Rogersville. This small town, has all the charms of rural living with all the appeal of a metropolitan area just a short drive away. If this sounds like the way of life for you, give us a call. Click here to view homes available in Rogersville.